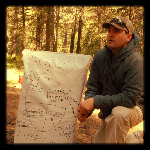 Plan Ahead and Prepare – Selkirk Outdoor Leadership & Education (SOLE), Inc.
Are You Suffering From Frequency Drift? Over the last several years, the number of backcountry users has increased drastically. There are many reasons why we have seen this increase, but that’s what we will be discussing today, because I don’t think I need to explain the bliss of an un-tracked slope with just you and your friends! Hopefully by now, most of you know the importance of proper avalanche gear including the (3) essential items — an avalanche transceiver (or beacon), shovel and probe. That said, your equipment is only as good as proper education. Here at SOLE, we offer avalanche education courses that allow you to develop outdoor technical skills, including how to use rescue equipment coupled with the opportunity to develop outdoor leadership skills like judgment and decision-making. Still the reality is we should all “plan ahead and prepare” and be ready to respond appropriately. Besides organizations like SOLE, ski resorts, land managers, guiding companies, avalanche centers, and backcountry forums are becoming increasingly better at educating backcountry users the risks associated with backcountry travel and the necessary gear and education to manage those risks. So for now let’s say you have a working understanding of how to use your avalanche beacon. One thing we should ask ourselves is this; does your beacon still work? Beacons talk to each other by transmitting at the same frequency. As long as both beacon frequencies are within a specific range, they will continue to talk. There have been numerous studies, however, indicating what’s known as “frequency drift”. Frequency drift can happen when your beacon gets extremely hot or cold, if there is physical damage to your beacon and age. Older beacons were made from fairly inexpensive parts that age just like us. When this happens, they can “drift” out of their programmed frequency making it impossible for other beacons to find their signal. Luckily, there is a very quick and efficient trick to make sure your and your partner’s beacons still works, practice. So your Tuesday’s Tech Tip for the Trail is to get your beacons out and practice with those you will likely go out with. This not only gives you practice before the snow flies, but allows you to see if your beacons function the way they were designed and ensures that you or your buddies beacon hasn’t “drifted” out of range. Put some fresh batteries in before your practice day and you’ll be prepared for the first snow of the season! Don’t hesitate to ask any questions about frequency drift, beacons, avalanche gear or anything else you might have questions with!